The US Open Series kicks off in Hotlanta with two Americans in a rematch of last year's final and my how things have changed since that meeting. Fish, once a perennial also-ran is now a solid, if unspectacular, top ten player. Isner, the 6'10" ex-golden boy, on the other hand, is here trying to arrest a slide in the rankings that has him on the verge of going into the US Open unseeded. Isner is your form horse, he comes into Atlanta hot off the heels of a grasscourt title at Newport, while Fish arrives presumably bruised from his unsuccessful Davis Cup debut as the US No. 1. Fish lost both rubbers and ultimately the tie to a Nadal-less Spain team. Fish leads the head-to-head 2-1 (including last year's championship in Atlanta), but Isner won their last matchup on the clay of Madrid. Given their three meetings have gone three sets, and no third set has been won easier than 7-5, on paper, there's not a lot to pick from between the two. If you're a tennis fan though and you think back to Isner/Mahut's 70-68 fifth set slog at Wimbledon a year ago, what sticks out? Isner's ability to hold serve and inability to break serve were equally awe-inspiring. Well, the 3rd seed has been focusing on his return game and it may have already borne fruit as he broke to beat James Blake, 7-5 in the third set of their 2nd rounder and won a 6-1 third set over Gilles Muller in the semifinal. Still, Fish is no Muller, he's a step and a half up from the competition Isner has faced this week and except for his quarterfinal against Yen-Hsun Lu, Isner has merely scraped past. My gut wants to call Isner in an upset, my brain overrules. The ghost of the old clay court Hamburg Masters tournament revisits us in a less prominent, but still well supported, 500 level, post Wimbledon version this week While most of the top stars are pointing their compasses toward the American hardcourts, a number of Europeans and South Americans are still finding their fortunes, literally and figuratively on the red clay. Your final features two top twenty players: 3rd seed Nicolas Almagro of Spain versus fifth seeded Frenchman Gilles Simon. Almagro is currently tied for the most clay court titles this year with three, two on the South American circuit earlier this year, plus one in Nice, though on the biggest red clay stage, Roland Garros, Almagro was shocked in the first round by Lukasz Kubot. Gilles Simon is tied with Justin Gimelstob for the skinniest calves ever seen on a professional athlete. His legs tied together might not be as thick as one of David Ferrer's. After a professionally difficult 2010 that saw knee injuries usher him out of top 40, Simon is back up to 18th in the world and is playing his second final this year, following an early title in Sydney. The head to head is all but irrelevant between these two, as they've only played twice, once last year on a hardcourt (Simon won), once in 2006 on clay (Almagro won). Almagro made short work of his floundering compatriot Fernando Verdasco in his semifinal, but Simon has faced tougher tests all tournament ousting top-seeded countryman Gael Monfils in the quarters and Mikhail Youzhny in an entertaining semifinal. This could be considered a pick 'em for all intents and purposes, but Simon is a tricky opponent who relies on court-craft and in need of a few wins to get back where he feels he belongs. Will he have enough to fluster the steady Spaniard? I consider myself to be a well-traveled guy, somewhat cultured, intellectually curious, I don't think I've ever once heard of Baku until the WTA set up shop in the Azerbaijani capital. I'm sure in many respects it may have been the impetus for the city to host this tournament, to say, hey, over here, we've got 2 million people here and we've got Anastasia Pavlyuchenkova on speed dial. Well, Alphabet Soup didn't make the final, but two of her Russian compatriots did, World No. 3 Vera Zvonareva and 55th ranked Ksenia Pervak who broke out reaching the fourth round of Wimbledon this year. Wimbledon result notwithstanding, the 2009 Australian Open junior champ has not yet had significant success at the tour level, the 20 year old has only won 23 total WTA level matches to date, but it's a good sign to see her follow up her Wimbledon breakthrough so quickly with a solid result. 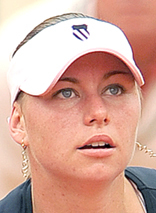 Zvonareva on the other hand has won 433 matches and should win her 434th match and 12th title today. Zvonareva will be the significant favorite, and that's likely to be her biggest issue. 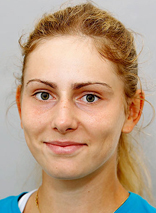 If she can't break Pervak early and establish a lead, she may well...well, pull a Zvonareva. You know, the racquet smashing, tearful, demonstrative behavior that has defined the career of a player much too good to be known for anyhing outside of her tennis. I think this is a simple case of who's ready to win. Today, I'll say it's Vera. In this, you can benefit from the internet which is a great destination for a find all the things you want. cartier replica uk Online is the best platform where you can find the best destination to find designer women clothes, gucci replica sale bags and other accessories. Moreover, you are also offered with the various options available and you can shop easily among all the products. prada replica sale If you are also looking for the best online women fashion stores, then you can find the best stores which are now easy to get to. chanel replica sale The leading online stores like Pit Dez have become the favorite destination fake chanel where women from everywhere over the world come and go shopping for their favorite online clothing and accessories.